A friend once told me that you’ve got to crack some eggs to make an omelet. Metaphorically, he was referring to the need to prep a stream, floodplain, or wetland for restoration by removing all the stuff that’s preventing it from functioning as it should. Once it’s removed, the site will likely look in poor shape but it’s a necessary step in the restoration process. Well, the City of Raleigh is cracking some eggs on Pidgeon House Branch. 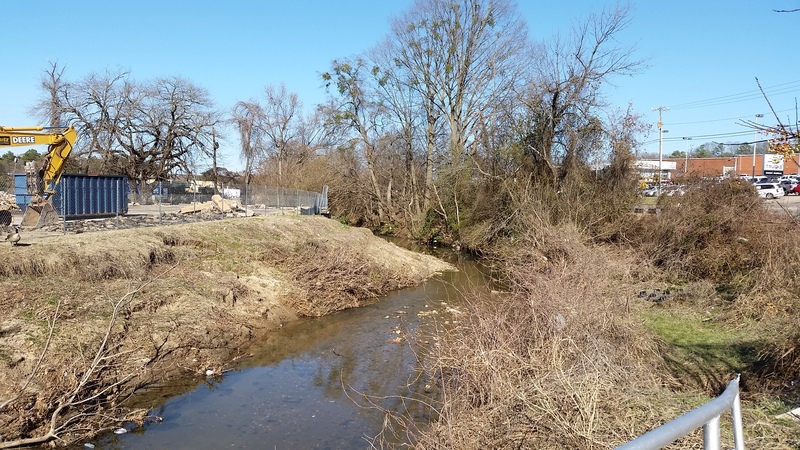 The Branch drains much of the heart of Raleigh winding north from downtown carrying stormwater runoff from lawns and roads in the City to Crabtree Creek and, further downstream, the Neuse River. The Creek is much in need of the attention it has begun to receive. Articles in both The Independent and the Raleigh Public Record do a good job chronicling some of the history of the Branch and the City’s plans for restoring it. Restoration is needed, too. Pipes and culverts cover much of the stream preventing it hosting the wildlife or possessing the aesthetic habitat that draw people to water. Clearing Structures in the floodpain. The plan is in its infancy but progress is being made. 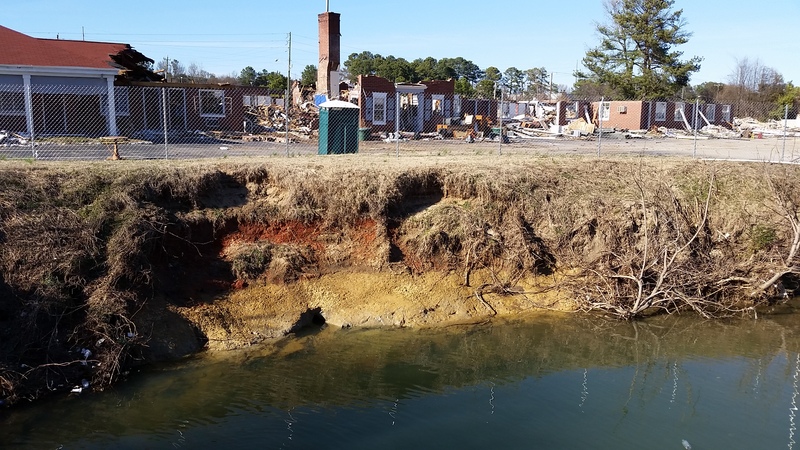 Recently, the City has acquired and began demolition on some structures that rest near the Branch. These buildings were built in the floodplain and often flooded when the area receives heavy rains. The plan here is to remove the fill material adjacent to the stream and the pipes covering it to allow Pigeon House Branch to have more habitat and room to meander like streams want to do. Adding a greenway to improve pedestrian and bicycle access downtown is another goal. While it may be a long-term plan, it’s encouraging to begin seeing progress toward its implementation. For us omelet lovers, this should be a good one to enjoy.